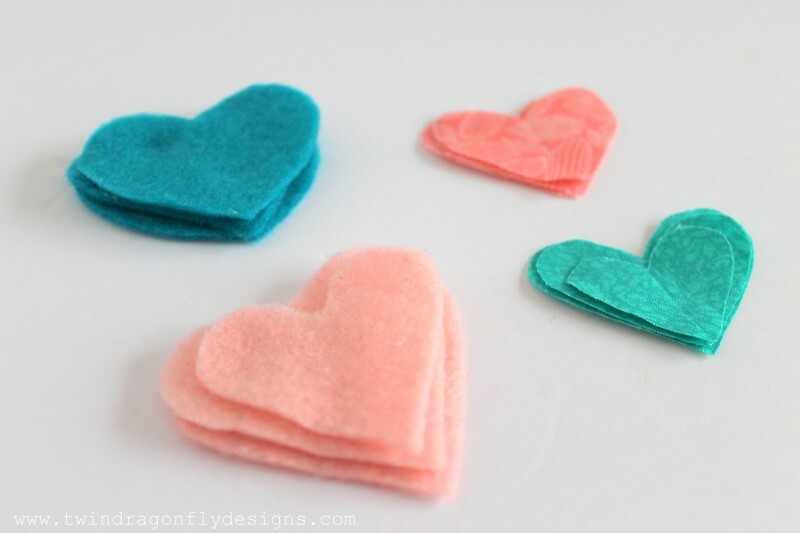 Simply cut hearts out of the felt and fabric material. 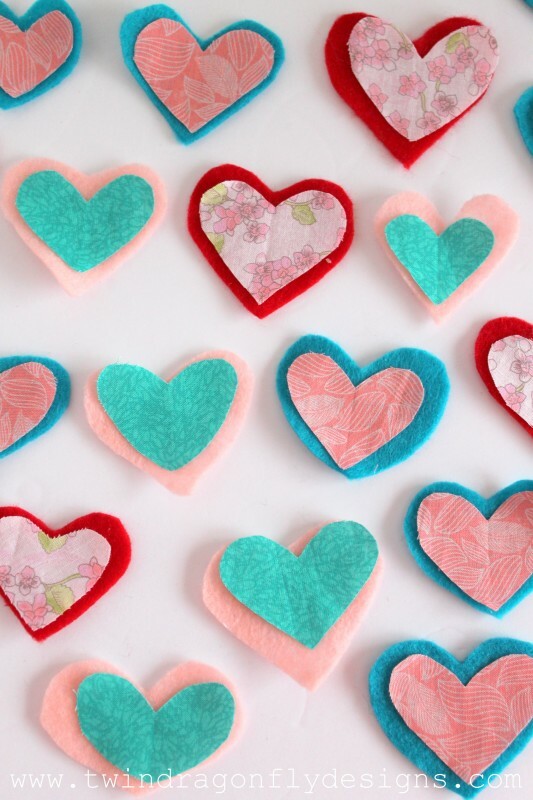 They should measure about 2″ each with the fabric hearts being a bit smaller. 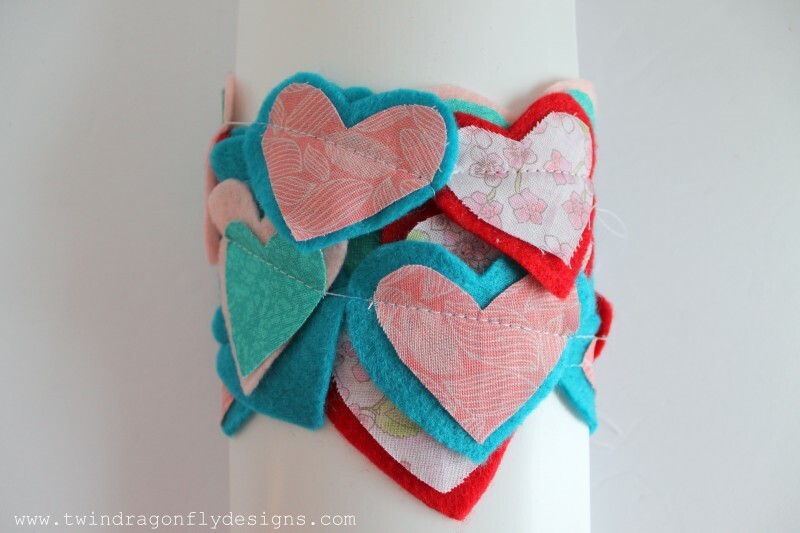 Tip: Fold the fabric in half to cut symmetrical heart shapes and use sharp scissors. 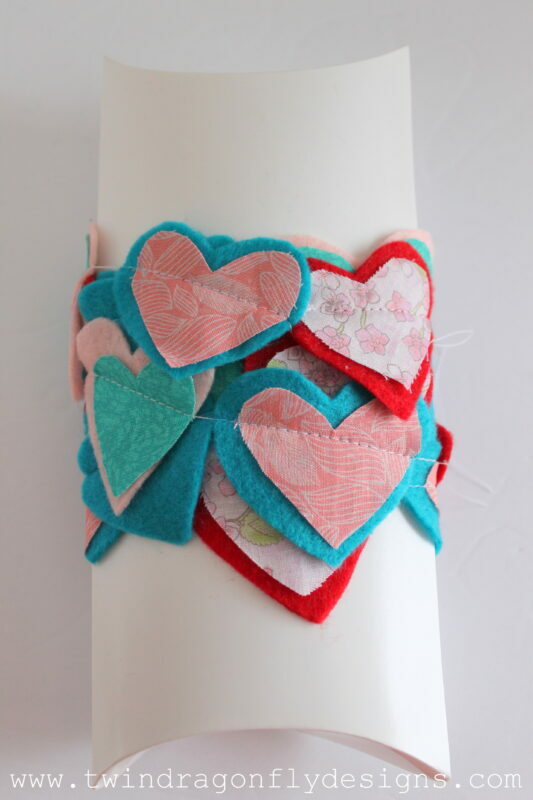 Layer a fabric scrap heart on top of each felt heart. 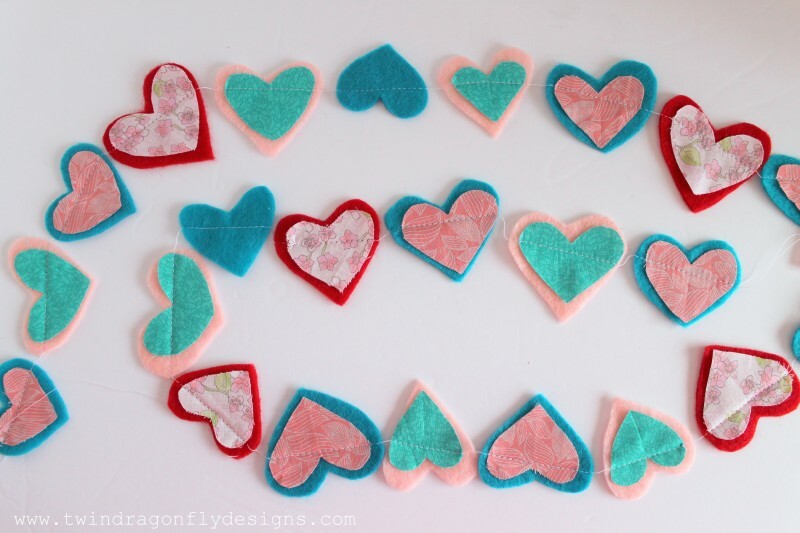 Sew the hearts together keeping about 1/2″ spacing between each. 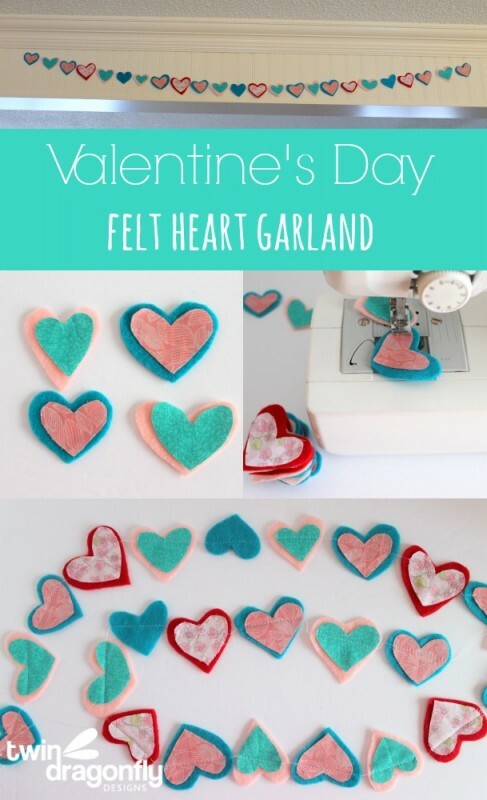 Sew a line straight across each heart being sure to catch the cotton fabric as well as the felt material in the stitching. Easy right? And perfectly festive for Valentine’s Day! Or a baby shower?! Or a nursery?! 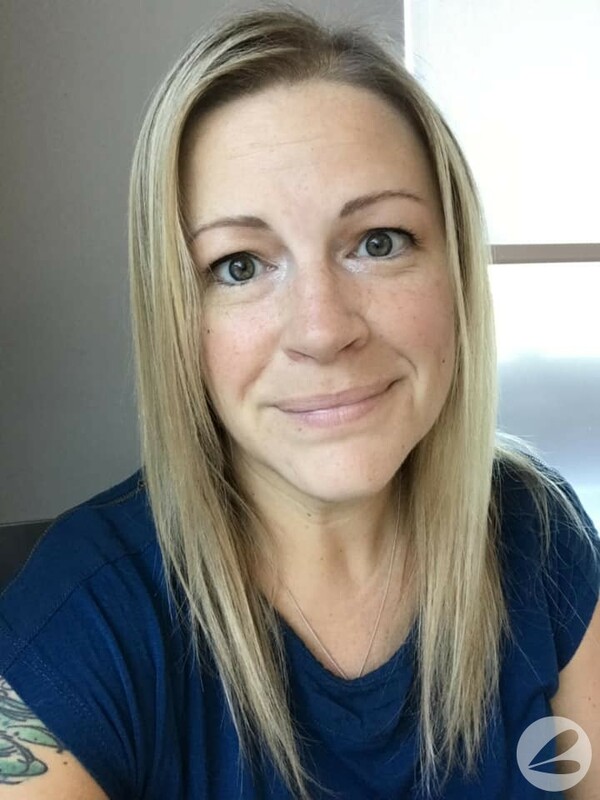 Seriously, are any of my friends having babies?! 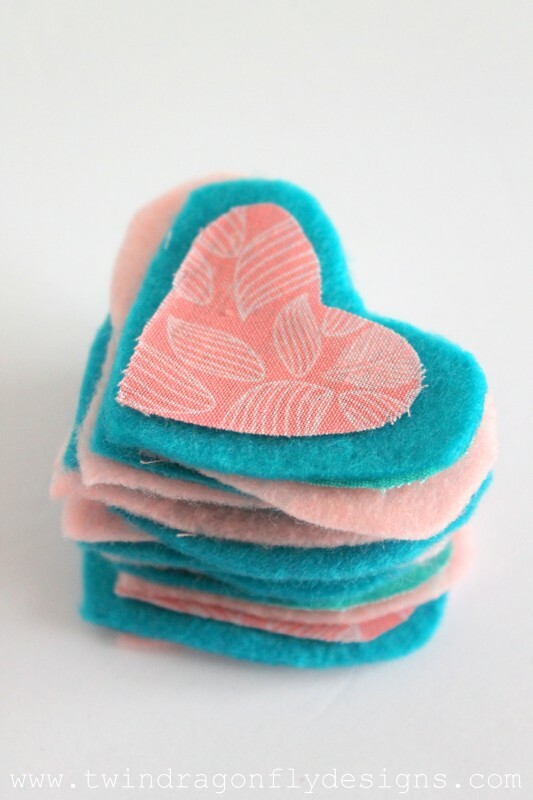 Do you decorate for Valentines Day?? 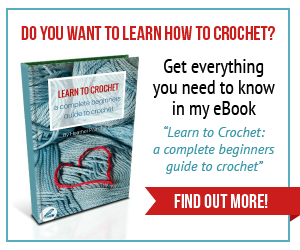 This is sew fun! 🙂 I can’t wait to have my 9 year old make one of these! I’m always looking for projects she can sew by herself on her machine. She loves to sew but needs practice with sewing a straight line. This will be perfect! And no pressure!